The CTM measures coating thickness on magnetic and non-magnetic base materials with high precision. 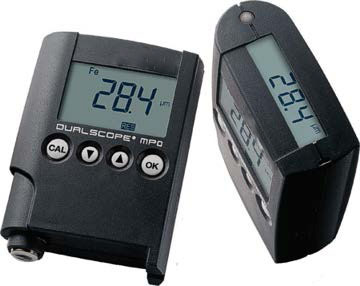 It is user-friendly, sturdy and ideal for uncomplicated, reliable and non-destructive in-situ measurements. Ideal for condition based monitoring of piston rings in 2-stroke engines. Measures non-magnetic coatings on magnetic base materials, such as chromium plated or plasma coated cast iron. Also measures non-magnetic coatings on non- magnetic base materials, such as plastic coated stainless steel. Automatically detects whether the base material is magnetic or non-magnetic.